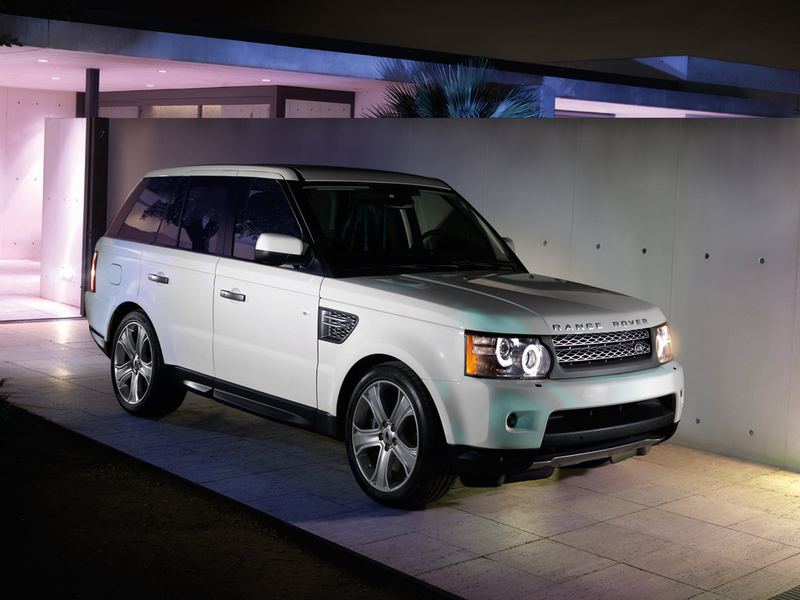 The Range Rover Sport made its first appearance in late 2004, in concept car guise as the Range Stormer. This was a low-slung, short wheelbase 3-door coupe that depicted a significant aberration in design brief for a Land Rover. The marque's first complete concept car sported split-folding gullwing doors, one-piece skeletal seats and 22 inch alloys. 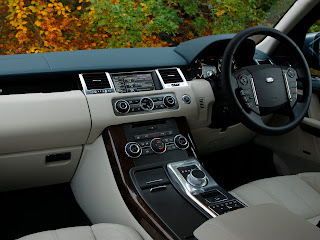 The Range Rover Sport was comparably of much more conservative design featuring five doors and a wheelbase hardly shorter than that of the Range Rover Vogue. The chassis has been adapted from the integrated bodyframe, semi-monocoque, independently suspended design which debuted on theDiscovery 3 in 2004. 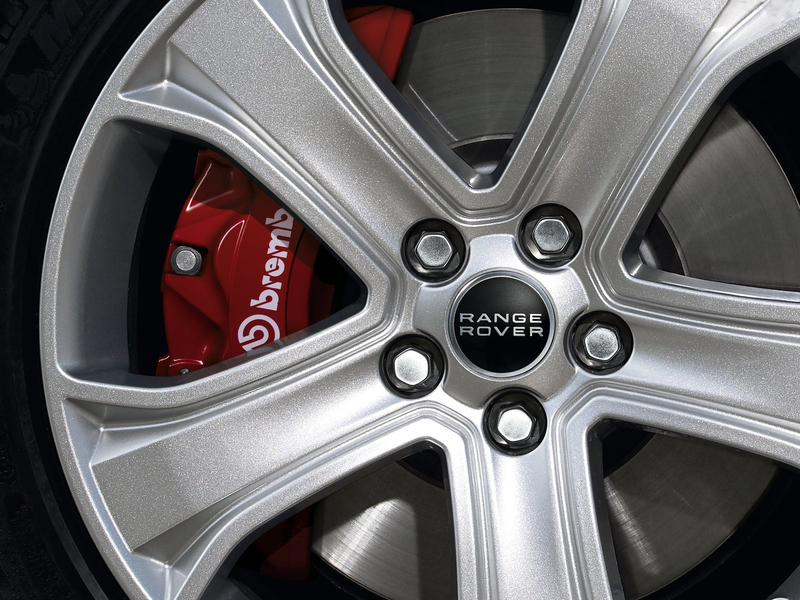 This allegedly gives the Range Rover Sport the refinement and structural rigidity advantages of a monocoque chassis with the robustness of a separate chassis design for off-road applications. It also allows for less expensive manufacturing of the vehicles due to a large number of common components. 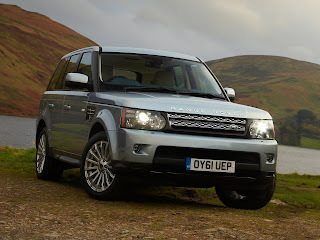 Although sitting on a modified version of the Discovery 3’s chassis, it is smaller than its more utilitarian sibling in every dimension with a wheelbase shorter by 140 mm (5.5 in). Its smaller dimensions and its raked roofline make it impossible to accommodate third-row occupants like the Discovery 3, but as a sports tourer it was never intended to be a seven-seater.Brembo front brakes are standard on all models except the TDV6. 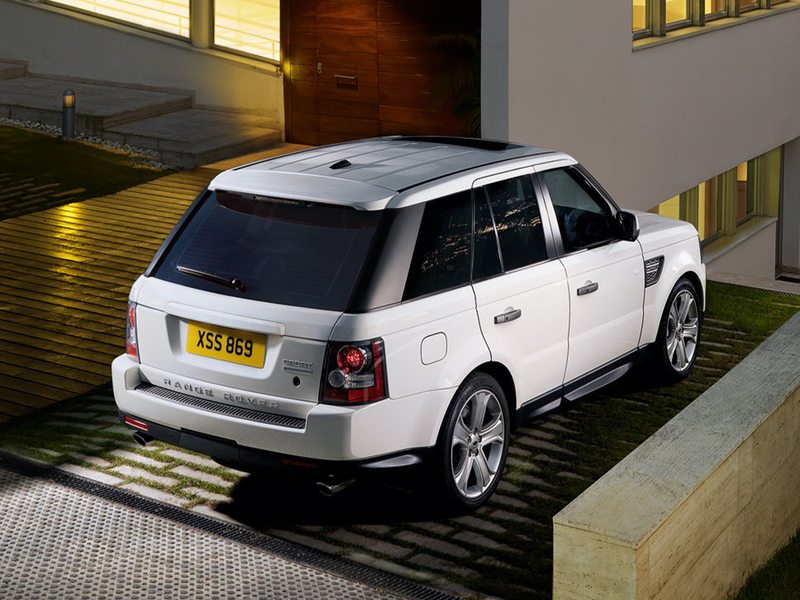 The range-topping Sport is powered by a supercharged 4.2-litre all-aluminium Jaguar AJ-V8 engine producing 390 hp (290 kW) and 550 Nm (410 lbft). 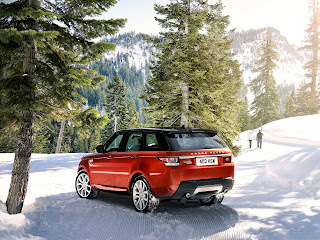 A naturally aspirated 4.4-litre variant produces 300 hp (220 kW) and 425 Nm (313 lbft) and has been adapted by Land Rover with a slightly greater capacity and increased torque. 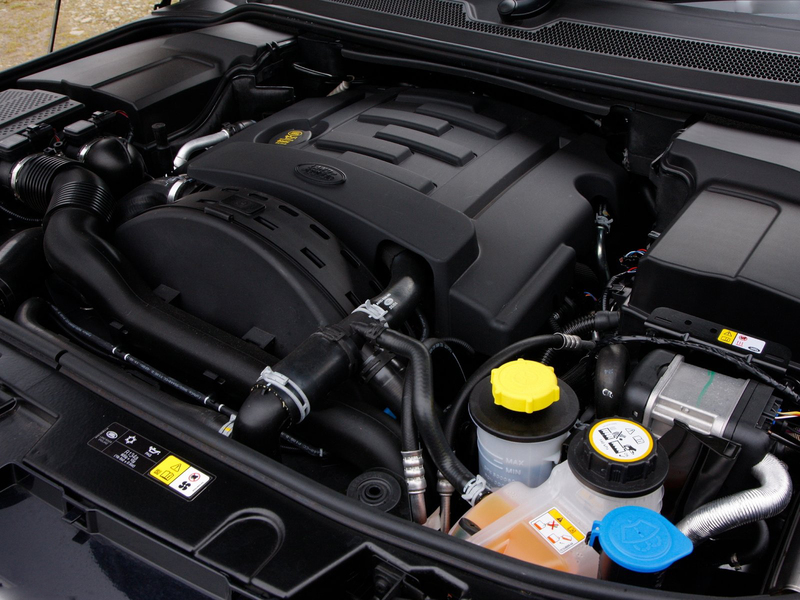 Both petrol engines have been designed with a sump and oil pick-up system to allow for operation at extreme angles. Due to lack of popularity, the naturally aspirated power plant was omitted from the UK market in 2007. The advanced 2.7-litre turbodiesel TDV6 is an adaptation of the PSA/Ford development and produces 190 hp (140 kW) and 440 Nm (320 lbft) in Land Rover guise. It features a compacted graphite iron block and aluminium cylinder head with fast switching piezo crystal injectors. Debuting in both the Sport and Vogue in 2007 was the 3.6-litre twin turbodiesel TDV8. This engine is a further adaptation of the TDV6 but features a 90 degree block (as opposed to a 60 degree layout), twin variable geometry turbochargers and inlet valve deactivation. All engine variants are mated to an adaptive six-speed ZF automatic transmission with CommandShift which reacts and adapts to varying driving styles. CommandShift gives the driver the freedom to sequentially manipulate gear changes. The Sport has suspension components similar to a Porsche 911. Cross-linked air suspension, as standard, gives the driver the option of three ride height settings including a standard ride height of 172 mm (6.8 in), an off-road height of 227 mm (8.9 in) and a lowered access mode. There is also an extra height available which is accessed by holding the respective button for when the off-road ride height is not enough. When the vehicle bellies out, its control system will sense weight being lessened on the air springs and the ride height is automatically raised to the suspensions greatest articulation. 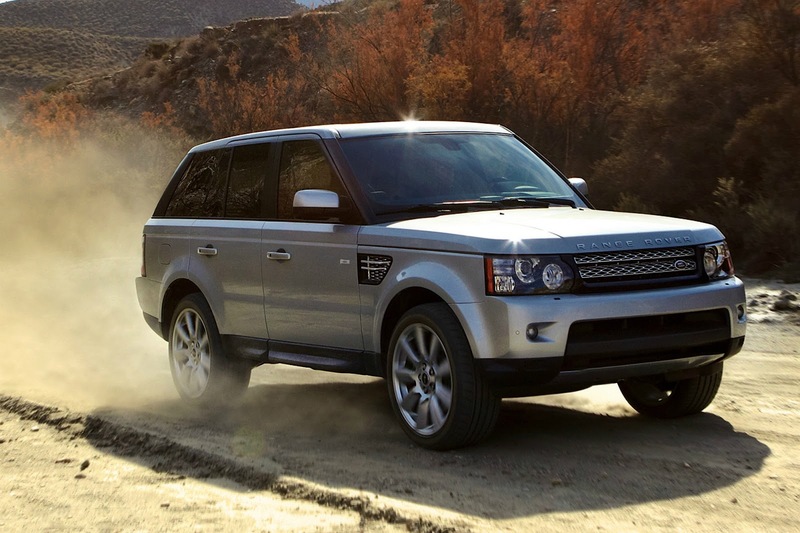 The cross-link aspect of the suspension system, which debuted on the L322 Range Rover in 2002, results in better off-road performance by electronically operating valves in pneumatic lines which link adjacent air springs. In the event of a wheel on one side being raised when travelling off-road, the pneumatic valves are opened and the adjacent wheel is forced down, simulating the action of a live axle setup. Land Rover’s patented Terrain Response system which debuted on the Discovery 3 is fitted as standard on all models. 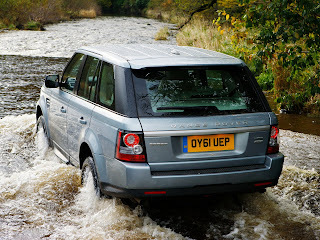 Terrain Response allows the driver to adjust chassis and transmission settings to suit the terrain being traversed. Five settings are available via a rotary knob on the centre console. These include general driving; grass, gravel, snow; mud and ruts; sand; and rock crawl. Suspension ride height, engine management, throttle mapping,transfer case ranges, transmission settings, electronic driving aids (such as electronic traction control (ETC), dynamic stability control (DSC) and hill descent control (HDC)) and electronic e-diffs are all manipulated through the Terrain Response system. All Range Rover Sports are equipped with a standard centre e-diff from Magna Steyr Powertrain which electronically locks and unlocks and apportions torque via means of a multi-plate clutch packlocated in the transfer case which also offers ‘shift-on-the-move’ dual-range operation. 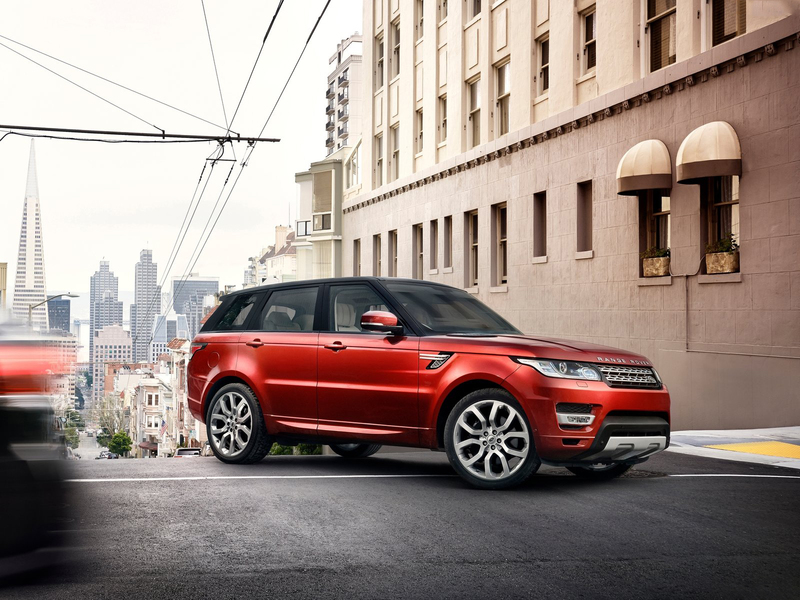 A rear e-diff is optional on all Range Rover Sport models and is able to lock and unlock instantaneously. An in-dash display is available which, among other things, is linked to Terrain Response and displays important off-road information such as the status of the e-diffs, the angle of the steering and wheel articulation. It is also able to inform the driver of wheels which do not have contact with the ground. Dynamic Response incorporates active electro-hydraulic anti-sway bars which react to cornering forces and activate and deactivate accordingly resulting in sublime on-road handling. 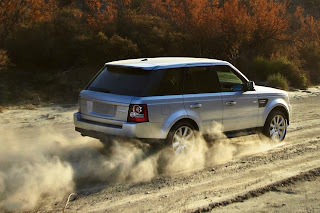 Dynamic Response also aids off-road performance by decoupling the anti-sway bars to allow maximum wheel articulation. The system in an evolution of the acclaimed ACE (Active Cornering Enhancement) system available on the Discovery Series II but is described as proactive rather than reactive. 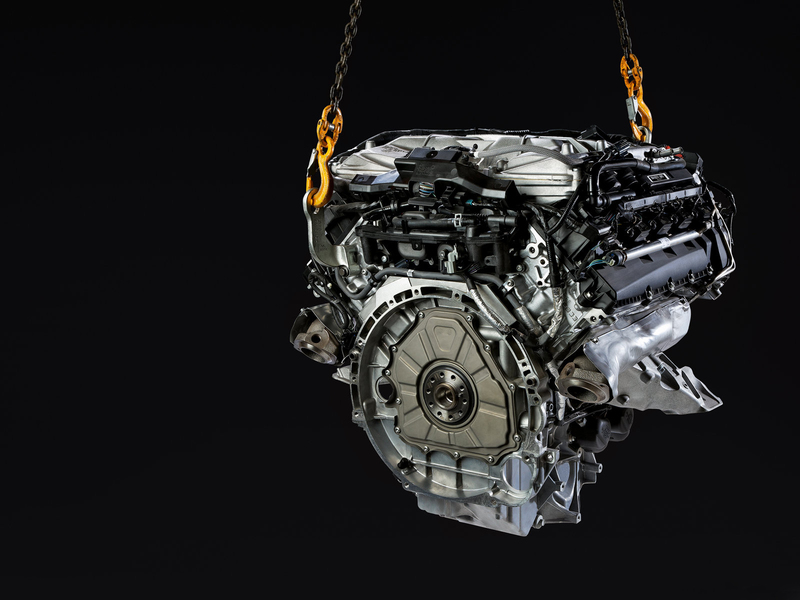 Positive Torque, a system standard on all TDV8 and Supercharged models, electronically blips the throttle, resulting in faster downshifts and the availability of vast reserves of torque. The speed sensitive steering system, adopted from Jaguar is standard on all models and there’s the option of active bi-xenon headlamps which act with the angle of the steering to aid vision. Active Cruise Control (ACC) with Forward Alert system incorporates an integrated front bumper radar which detects vehicles travelling ahead and adapts the vehicle’s speed to match. The system scans the road ten times a second, has a 16 degree field of view and Land Rover claims it is able to discriminate between a heavy vehicle and an adjacent lane motorcycle travelling at least 180 metres (590 ft) ahead. Four preset distances are selectable and will ensure the Sport maintains the desired distance from the vehicle it is following. A facelift to the Range Rover Sport was exhibited at the New York Auto Show in April 2009. It featured a more aerodynamic front-end including new headlights, grille and bumper. Also new are revised rear lights and rear bumper. 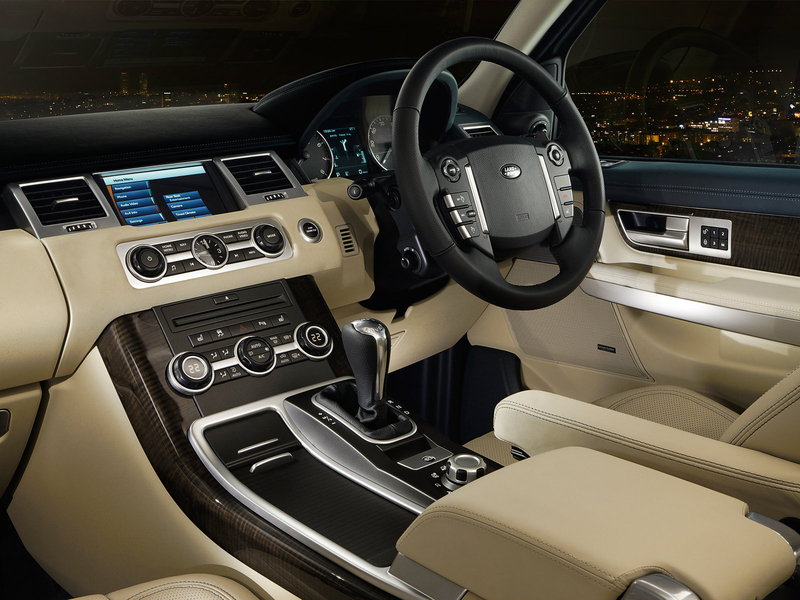 Interior revisions are more significant with a new fascia, steering wheel, door linings, seats, instruments and switchgear. The new model has more leather apparent and nearly 50 percent less dash bound buttons than the previous model. Three new engines have made their debut. These include an all-new direct injected, all-aluminium 5.0-litre petrol V8 engine in naturally aspirated and supercharged guises as seen in Jaguar’s latest range of high-performance vehicles. The naturally aspirated model produces 283 kW (385 PS; 380 hp) while the supercharged produces 373 kW (507 PS; 500 hp). Also new is a heavily revised 3.0-litre version of the current 2.7-litre TDV6 producing 180 kW (240 PS; 240 hp) and 600 Nm (440 lbft), adapted from Jaguar’s AJ-V6D Gen III. This engine features parallel sequential turbochargers - a single variable geometry turbocharger and a single fixed geometry turbocharger which is only active when required as seen on the Jaguar XF Diesel S. All of the new engines produce increased power and torque over their predecessors while delivering better fuel economy and reduced CO2 emissions. Fitted with a sixth generation twin-vortex supercharger with an improved thermodynamic efficiency of 16 percent, the new 5.0-litre supercharged engine produces 29 percent more power and 12 percent more torque than the current 4.2-litre engine, yet CO2 emissions and fuel consumption are improved by 5.6 percent and 6.2 percent respectively. The new 3.0-litre TDV6 engine produces 29 percent more power and 36 percent more torque than the 2.7-litre engine, yet CO2 emissions and fuel consumption are both improved by 9 percent. The 2010 model year Sport is also fitted with the new ZF HP28 six-speed automatic transmission. Designed to improve performance and efficiency, the new transmission engages the lock-up clutches of each gear earlier after selection. Suspension refinements have also occurred with the introduction of the world’s first production damping system using model-based predictive technology that continually optimise the settings of the new DampTronic Valve Technology damper units to optimise vehicle ride and control. Further improvements to the award winning Terrain Response system have taken place for 2010. Revisions to the rock crawl programme reduce roll when traversing boulders delivering a more composed ride over rocky terrain. The addition of a new 'sand launch control' prevents wheels digging in when driving away in soft sand thanks to revisions to the traction control system. The Hill Descent Control system has also been enhanced with the addition of Gradient Release Control, which inhibits the initial rate of acceleration when descending steep inclines. The second-generation Range Rover Sport was announced on 27 March 2013 at the New York Auto Show. Several streets were shut down inManhattan for a launch party at the Auto Show starring James Bond actor Daniel Craig. The new Range Rover Sport seems to take on more of an Evoque styling, as did the full-size 2014 Range Rover. It is 4 inches (100 mm) longer, being 191 inches (4,851 mm) long; and 800 lb (360 kg) lighter, weighing in at 4,727 lb (2,144 kg). 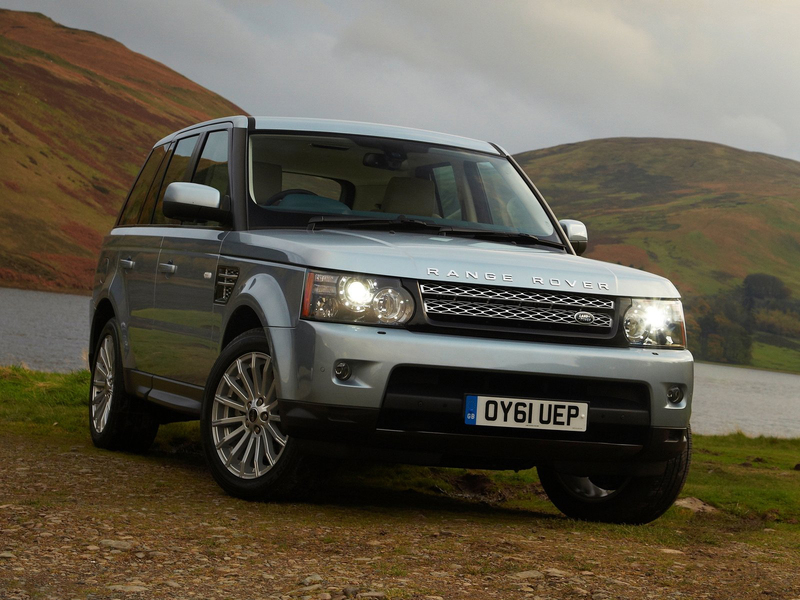 The Range Rover Sport made Ford's Premier Automotive Group the target of a protest by Greenpeace in 2005. The protesters infiltrated an assembly facility and temporarily delayed production of the vehicle. Greenpeace cited issues with greenhouse gas emissions, and by extension, global warming. The United States Environmental Protection Agency estimates for the non-supercharged car are 14 mpg-US(17 L/100 km; 17 mpg-imp) (combined). Although for this test the EPA used their newly calibrated system for 2008 and on. Greenpeace stated they did not take issue with the production of vehicles such as the Land Rover Defender as they are typically used for off-road applications on a much more frequent basis than vehicles such as the Range Rover Sport which they claim "has been tuned primarily for on road performance". Last updated on 22 August 2013 at 23:07.